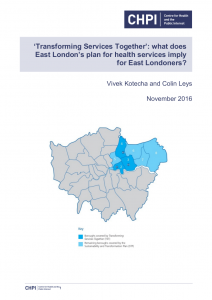 ‘Transforming Services Together’: what does East London’s plan for health services imply for East Londoners? Transforming Services Together (TST) is a five-year plan to radically reconfigure health services in the London boroughs of Newham, Tower Hamlets and Waltham Forest. The draft plan was drawn up between 2014 and 2016, at a cost of £3.49m for external consultants alone. It now appears to form part of the draft Sustainability and Transformation Plan (STP) for the wider North-East London area or ‘footprint’. 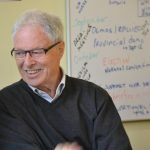 What problems is Transforming Services Together seeking to address? 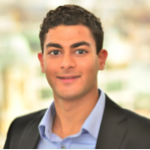 What is the planner’s solution to closing the funding gap? If all goes ahead as planned what will this mean for patients? Are the plans based on realistic assumptions? What will it mean for patients if the planner’s assumptions are wrong and the plans cannot be achieved?